Originally published at 12:10 pm, this article has been updated to include statements from Northrop Grumman, Boeing, the Air Force and the Pentagon, as well as comments from a former Pentagon official. WASHINGTON — – The Government Accountability Office has denied Boeing’s protest of the US Air Force’s decision to award Northrop Grumman a contract to build the Long Range Strike Bomber, allowing Northrop to move forward with engineering and development work after a three-month delay. "GAO reviewed the challenges to the selection decision raised by Boeing and has found no basis to sustain or uphold the protest," GAO wrote in the Feb. 16 decision. "In denying Boeing's protest, GAO concluded that the technical evaluation, and the evaluation of costs, was reasonable, consistent with the terms of the solicitation, and in accordance with procurement laws and regulations." Northrop had hit pause on LRS-B work after Boeing and partner Lockheed filed a bid protest with the GAO Nov. 6 over the Oct. 27 contract award. But now the company can move forward with engineering and development work, in anticipation of a tentative 2025 date for initial operating capability. The contract, the largest military aircraft contract since Lockheed won the F-35 joint strike fighter more than a decade ago, is expected to top $55 billion over the life of the program. "Northrop Grumman is pleased that the [GAO] has denied Boeing's protest and reaffirmed the Air Force's decision to award Northrop Grumman the [LRS-B] contract," according to a statement by Randy Belote, company vice president of strategic communications. "This confirms that the U.S. Air Force conducted an extraordinarily thorough selection process and selected the most capable and affordable solution." The Air Force has allotted about $12.1 billion in research, development, test and evaluation funds for LRS-B over the next five years, according to the service’s fiscal year 2017 budget request. This figure is about $3.5 billion less than the Air Force had planned for last year, a delta that reflects an updated cost estimate since the service awarded Northrop the contract. Boeing will review the GAO's decision and decide on its next step in the coming days, according to a company statement following the announcement. "We continue to believe that our offering represents the best solution for the Air Force and the nation, and that the government's selection process was fundamentally and irreparably flawed," the Boeing statement reads. 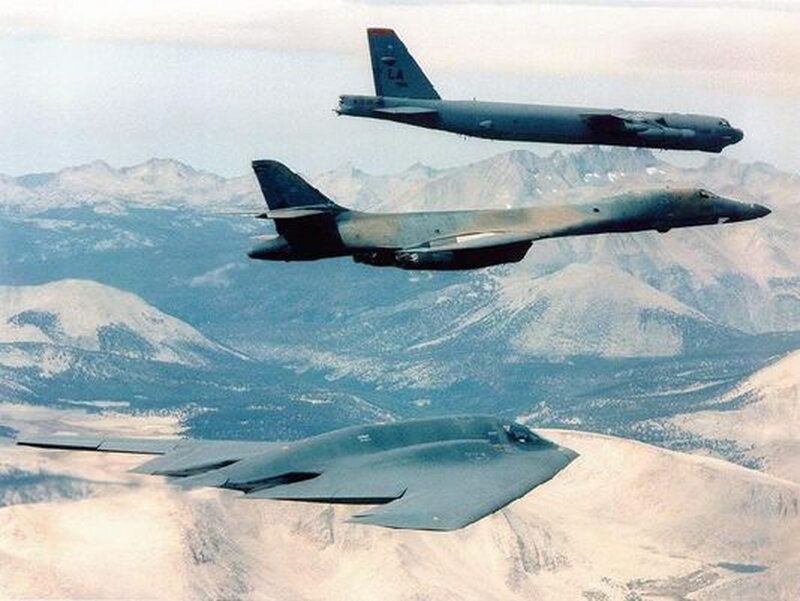 "Given the significance of the LRS-B program, it could not be more critical that the government procure the most capable bomber to serve the warfighter, at the greatest value to the American taxpayer." GAO decisions can not be appealed, but Boeing can choose to bring its case before the US Court of Federal Claims. "This is an important program for the future with significant dollars involved, and it's possible that — particularly for Boeing — that they may want to proceed to court," said Jeff Bialos, a partner at Sutherland Asbill & Brennan, who previously served as the Pentagon's deputy undersecretary of defense for industrial policy. "If you are Boeing, I don't see a lot of downside in not appealing, in not going to court. There are such high stakes riding on this." Even if Boeing takes the case to court, it is unlikely Northrop will have to stop work on LRS-B again, Bialos said. At the time the protest was filed, Boeing and Lockheed called the selection process for the LRS-B "fundamentally flawed" in a joint statement, taking issue specifically with the cost evaluation performed by the government. But the companies faced long odds of a successful protest. As a recent annual report on the defense acquisition system noted, only around 2 percent of defense protests were actually upheld in 2013, the last year data was available. This rate is lower than the overall federal rate for that year, which was just under 4 percent. Additionally, the Air Force, clearly eager to avoid a repeat of the decade-long tanker saga when a Boeing protest eventually reversed the original award to Airbus, took great pains to insulate the LRS-B award. The Air Force was confident the source-selection team followed a "deliberate, disciplined and impartial process" to determine the winner of LRS-B, according to a Feb. 16 Air Force statement. "We look forward to proceeding with the development and fielding of this critical weapon system. This platform will offer the joint community the required capability needed to meet our national security objectives and the evolving threat environment," said Secretary of the Air Force Deborah Lee James in the statement. "It is important to ensure affordability in this program and the ability to leverage existing technology as we proceed forward." The GAO denied the protest despite the revelation last week that a top Air Force acquisition official had failed to report a Northrop retirement account held by his spouse in his annual public financial disclosure form. The timing of the news raised questions about implications to the protest decision, but the Air Force maintained that the official, Richard Lombardi, was not involved in the LRS-B source-selection process and was not the service acquisition executive at the time. The Air Force reassigned Lombardi to duties outside the acquisition portfolio and referred the issue to the Inspector General. "I think from our standpoint we were confident in the original decision and we think this decision from the GAO reflects that confidence," said Pentagon spokesman Peter Cook. The Air Force plans to procure 100 LRS-Bs to replace its aging fleet of B-1 and B-52 bombers.